Neil Froese is a retired teacher residing in Ontario with his wife, Eileen. Growing up and living in southern Manitoba in the 1950's to the late 1980's, Neil's interest in trains was piqued by the visual and sound drama of early Canadian Pacific steam on cold, crisp winter mornings as the trains would dutifully deliver most anyone and everything to and from the towns and villages in southern Manitoba. The CPR station with its "agent" was the commercial and in many ways, the social hub of prairie towns until 1950's when train passenger service was terminated as more and more persons choose the independence of the automobile and the use of better highway infrastructure. However, a pre- Christmas winter ride on the CPR passenger train with his mother and brothers from Mather to Winkler in the 1950's to spend time with the grandparents was "as good a gift as was needed" as far as Neil was concerned. To a young boy 8 years of age, It was a great, unique experience - always to be remembered! This entry was posted in Uncategorized on 2015-12-31 by nfroese. Davis, C. (1995). Information and photo credit – from the collection of Chisholm Davis.Saskatoon, SK. Grassick, E. (2010). Village of Fallison. Available [website]. Harvey, B. (1997) Photo source: Retired CP engineer. Hately, D. “Motive Power Report”, “CP Tracks”, Fall 1998. This entry was posted in Uncategorized on 2015-08-07 by nfroese. 2011/05, CPR/Napinka sub. Mile ____ . Three GP 38-2 diesels, 3055 with packman logo, a faded 3117, and 3020 sporting new paint and beaver/shield logo waiting at the grain terminal W. of Boissevain, MB on a wet spring day. Click on photo for detail. © Text and Photos exclusive copyright of N. Froese. This entry was posted in Uncategorized on 2015-07-30 by nfroese. 2011/05, CPR/Napinka Sub. Mile 49. End Of The Line. View – looking back S.E. towards former BTRC property in the direction of Holmfield. 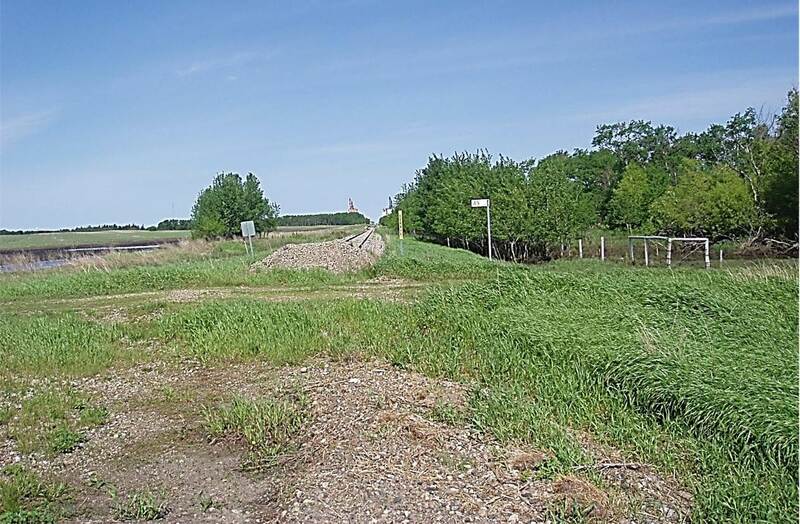 This railway property was sold in 2012 to Andy Keen and Brenda Seward. The track in the photo is still active CPR track used mostly for grain car storage. Click on photo for detail. © Text and Photos exclusive copyright of N. Froese. 2011/05 CPR/Napinka Mile 49. View – looking N.W. to Killarney, MB. 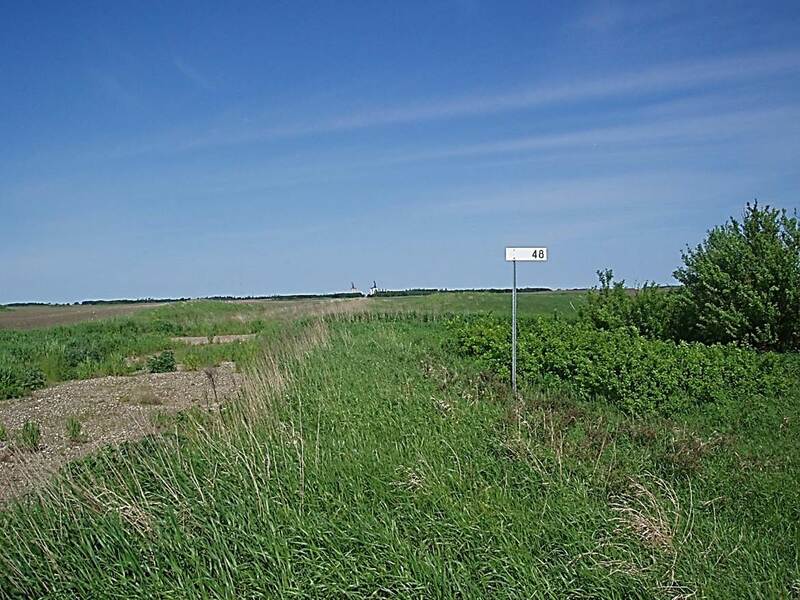 This was the end of the Boundary Trail Railway Co. property until its sale in May, 2012. 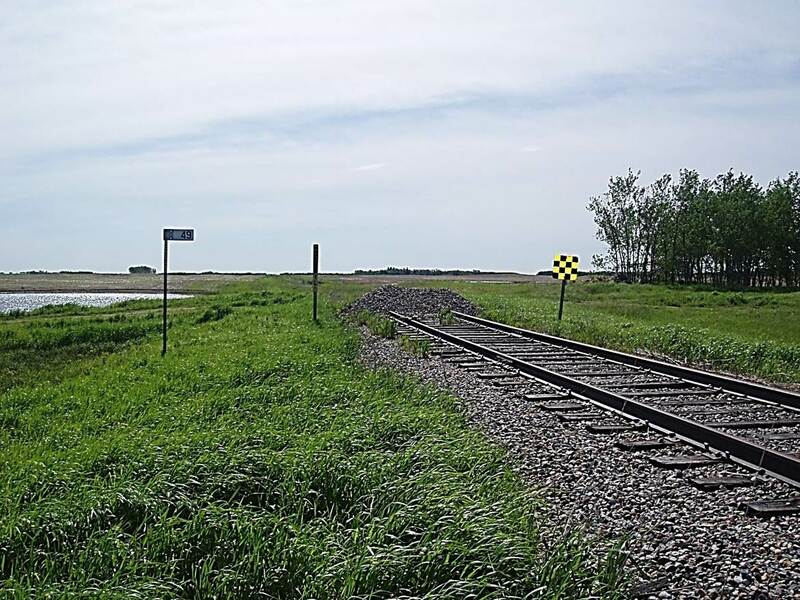 The track in the photo is the still active CP line going on to Killarney and eventually to Napinka were the line joins up with the Estevan sub. 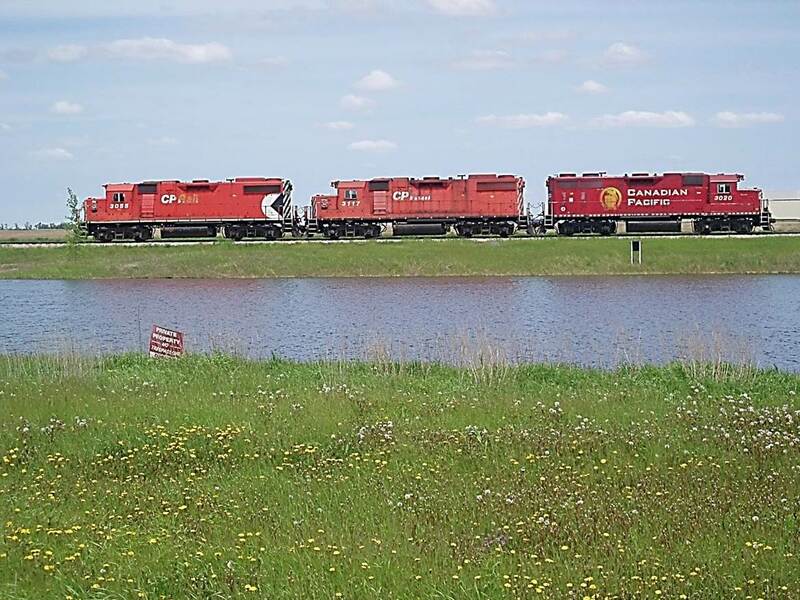 which is part of the CPR Brandon division. Click on photo for detail. © Text and Photos exclusive copyright of N. Froese. This entry was posted in Uncategorized on 2015-07-29 by nfroese. 2011/05, CPR/Napinka sub. 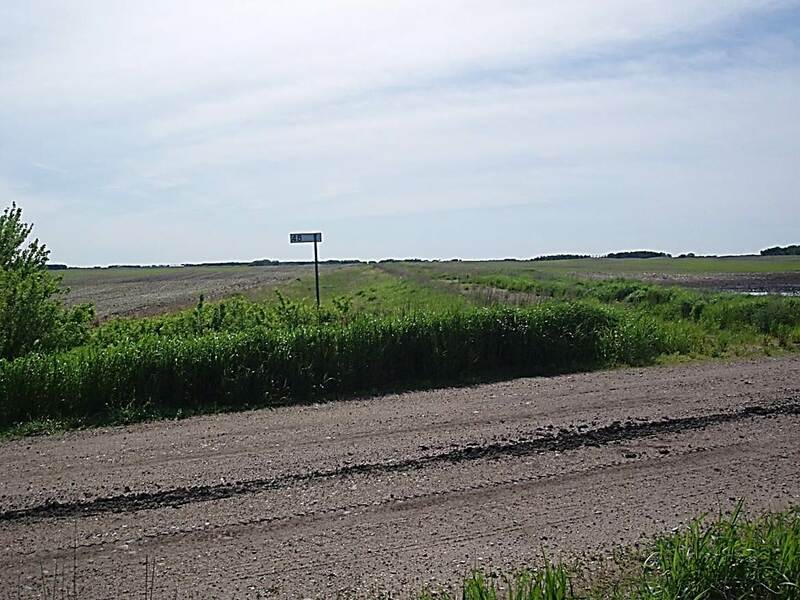 Mile 48 – looking S.E. across municipal road back to Holmfield about 7 miles. Click on photo for detail. © Text and Photos exclusive copyright of N. Froese. This entry was posted in Uncategorized on 2015-07-27 by nfroese. 2011/05, CPR/Napinka sub. Mile 48 – looking W. towards Killarney grain terminals in the distance using an 18 – 135 mm lens at “normal eye view setting. Notice the distance of approximately two miles from the grain terminals, compared to the telephoto magnification in the previous post. Click on photo for detail. © Text and Photos exclusive copyright of N. Froese.